DOWNLOAD FREE PHOTOGRAPHY TIPS HERE! In a magical land far far away named Britain there are places, some call them “cathedrals,” scattered throughout the land over hill and dale. And in these “cathedrals” there are to be heard, between 5 and 7 in the evening, the sound of children, and men, and singing, singing the most beautiful songs you've ever heard. Some in English, some in Latin, these songs sound almost like...like...like prayer. And wherever you roam across that enchanted land, the singing continues every evening, each more beautiful than the next, ebbing and flowing with emotion, reverberating throughout the great halls of the kingdom's cathedrals. Ok fine, it's just Choral Evensong. But if you've been to Britain and you've never been to Choral Evensong then you haven't been to Britain. Evensong is quintessentially British. It's their invention, it's a form they have cultivated, perfected, and their choir schools are still, centuries later, the envy of the world. So we're giving you the what it is, the where is it, and the why you should stop missing out on this very British art form on your next visit. 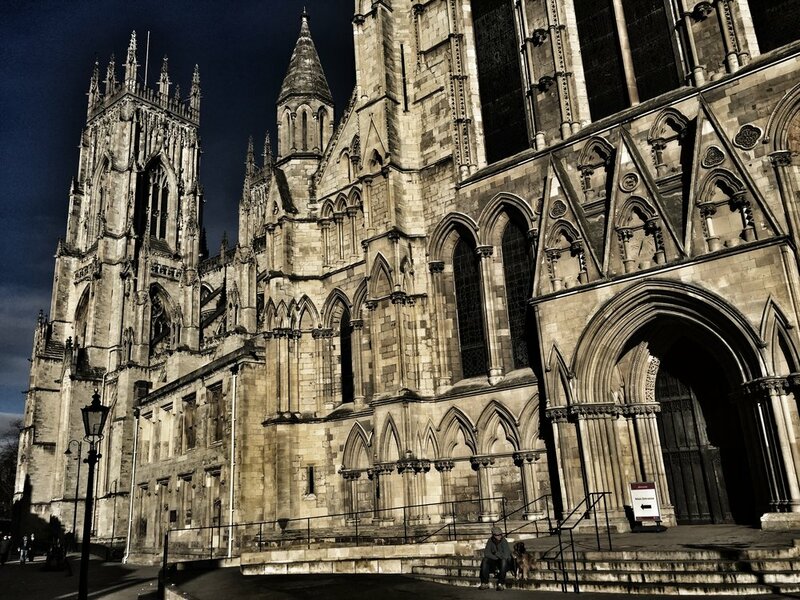 York Minster, the primacial See of the York Province of the Church of England. Translation: people in the north don't worry about Canterbury, they have York. And it's a monster of a cathedral! A brief lesson: there's a thing called Evening Prayer (Vespers in the Roman tradition). There's Morning Prayer too (Matins in the Roman tradition) but that's not what we're talking about here. It's been around longer than you, since time immemorial. It consists of an introduction, confession, the Lord's Prayer, psalms, a few lessons from the Bible, the Magnificat (Song of Mary) and the Nunc dimittis (Song of Simeon), and so on. Stick with me, this is where it gets really good. The Anglicans of Britain came up with the idea of doing that Evening Prayer in song. The whole thing. Sung. Composers of the day caught wind of this and started writing various versions of those elements I mentioned and the more versions they wrote, the more variations there were for the singers to sing. And so was born Evensong. Evening Prayer sung by a choir of boys and men. Lately, thanks to woefully inadequate but symbolically meaningful pushes for equality, the girls get in on the action too as numerous girls choirs are popping up around the larger cathedrals. Winchester Cathedral is just a gem, and Jane Austen is buried there, as well. The beauty of Evensong is this: it's a wonderful concert in an amazing cathedral in which you're surrounded by incredibly architecture and centuries of history. And it's free. Totally free. If you're touring on a budget you just can't get a better deal than that. While Evensong is regularly sung in all kinds of churches, the cathedrals (of which there are 42, by the by) generally have the most regular services and cultivate the area's best talent, not to mention the history and architecture aspects. Wherever you plan to be on this small, magical island, there's an Evensong waiting to be discovered near you. Here's the list to check locations and schedules, and do your senses the favour of an enjoyable evening surrounded by music, history, and beauty.